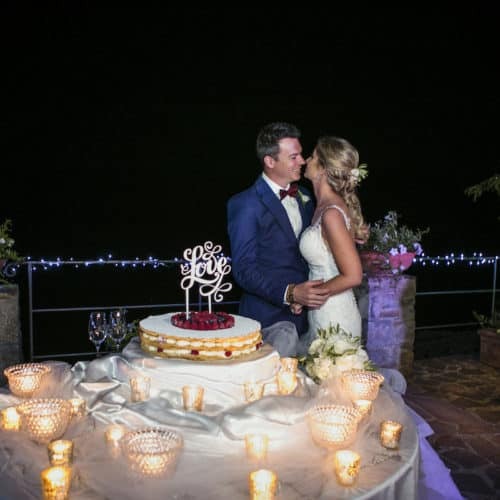 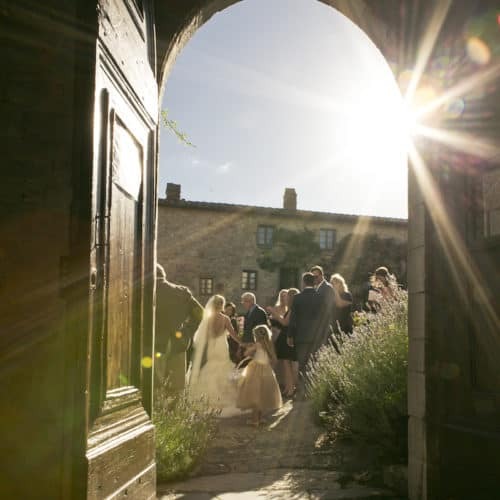 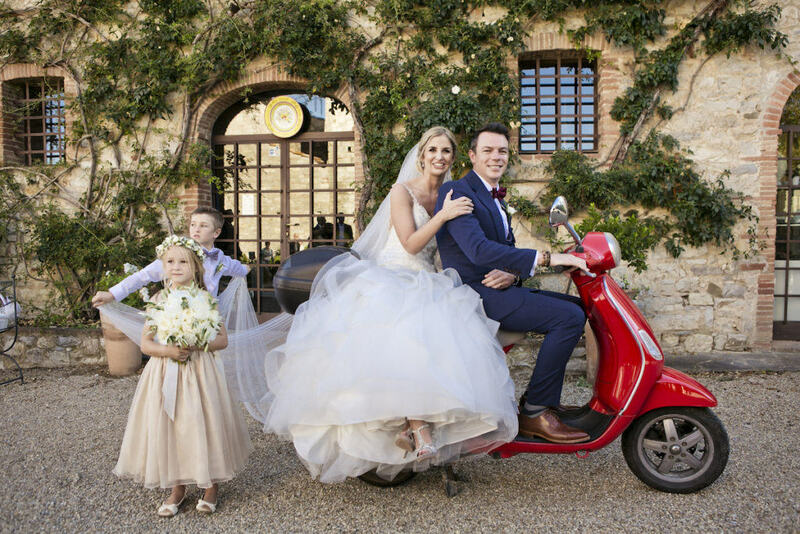 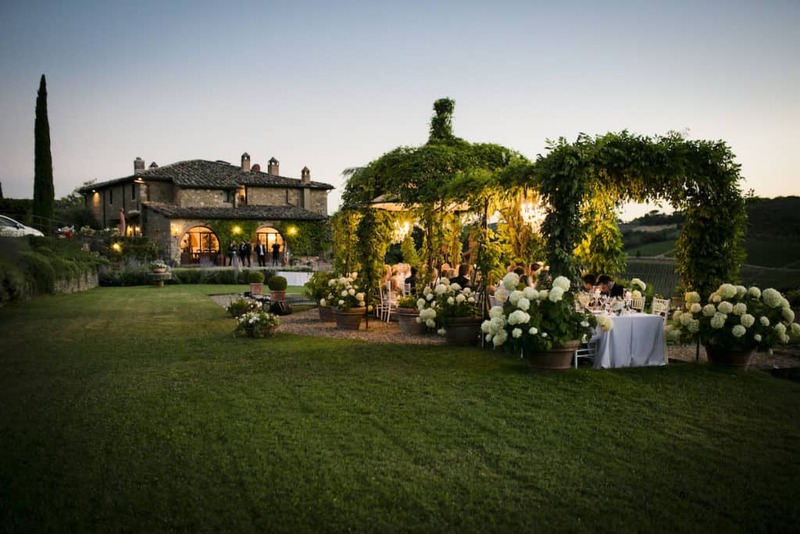 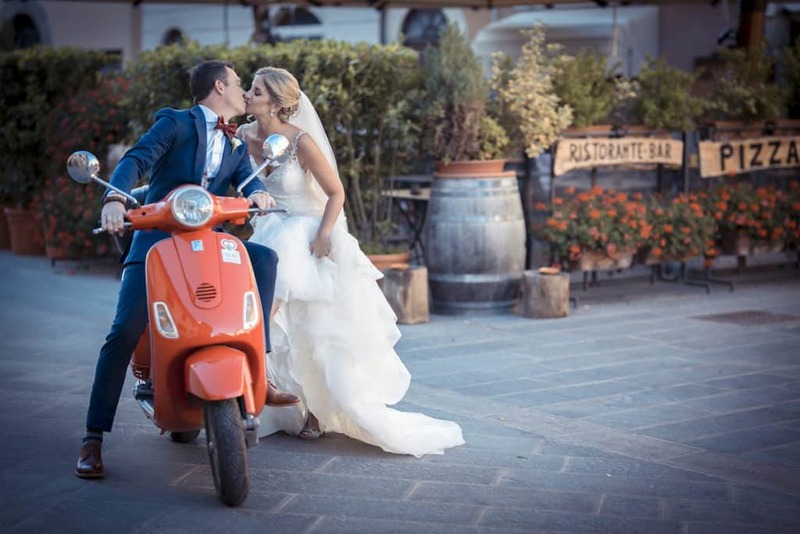 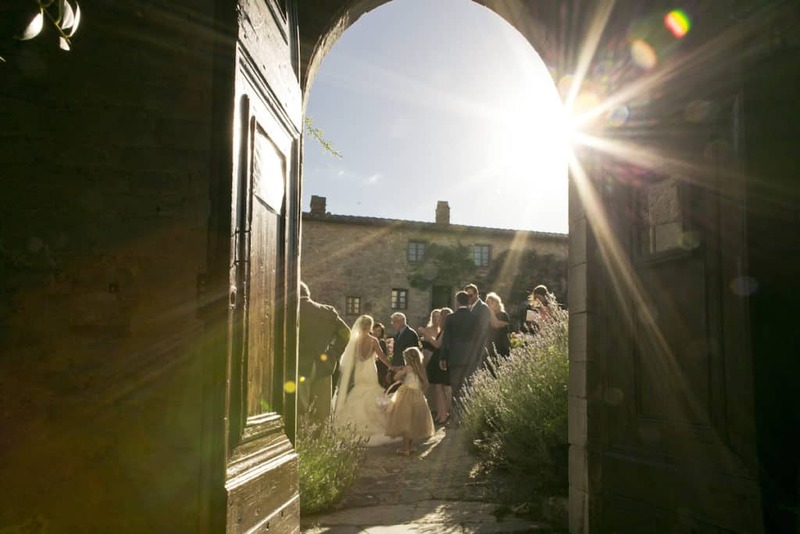 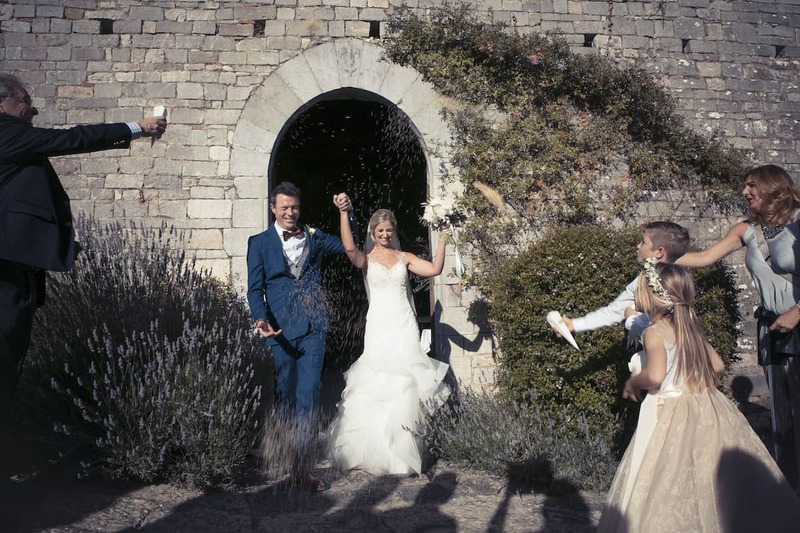 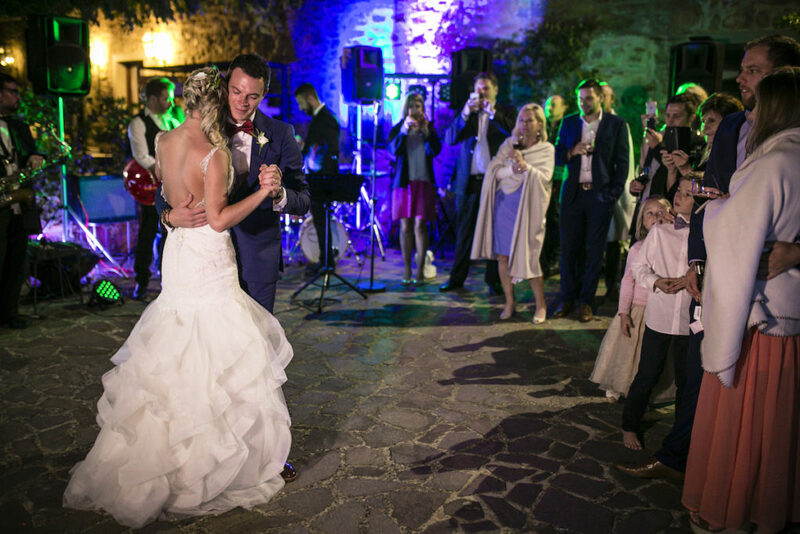 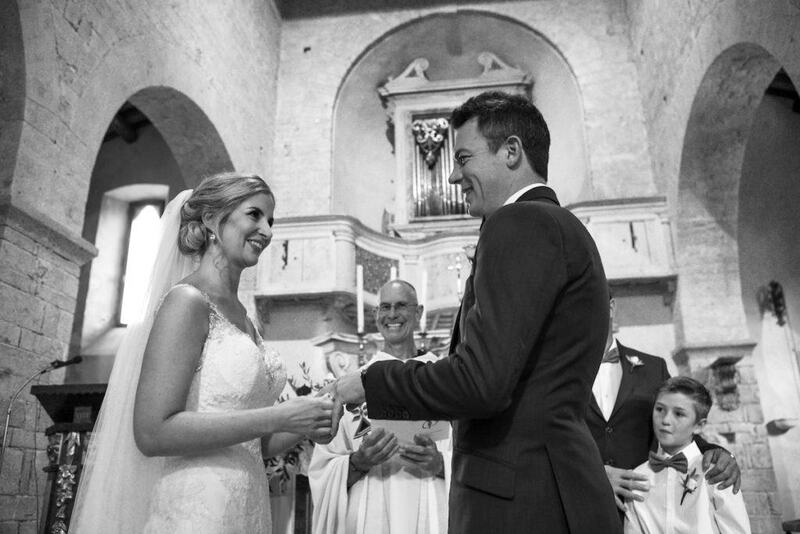 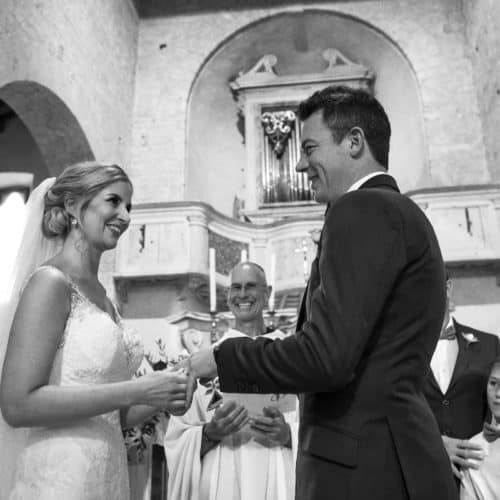 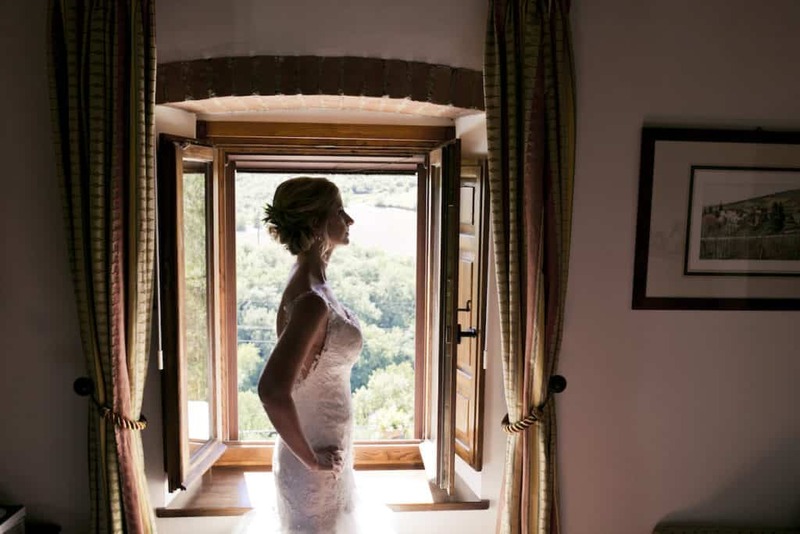 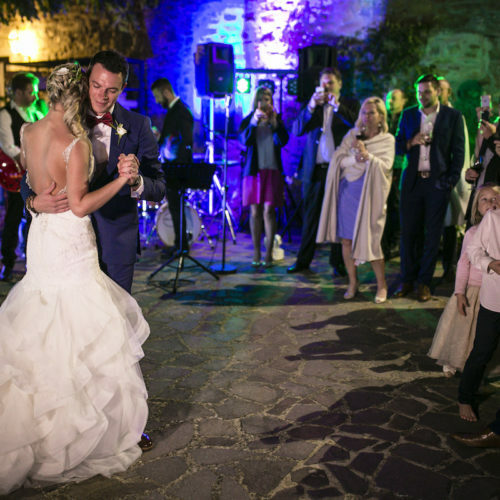 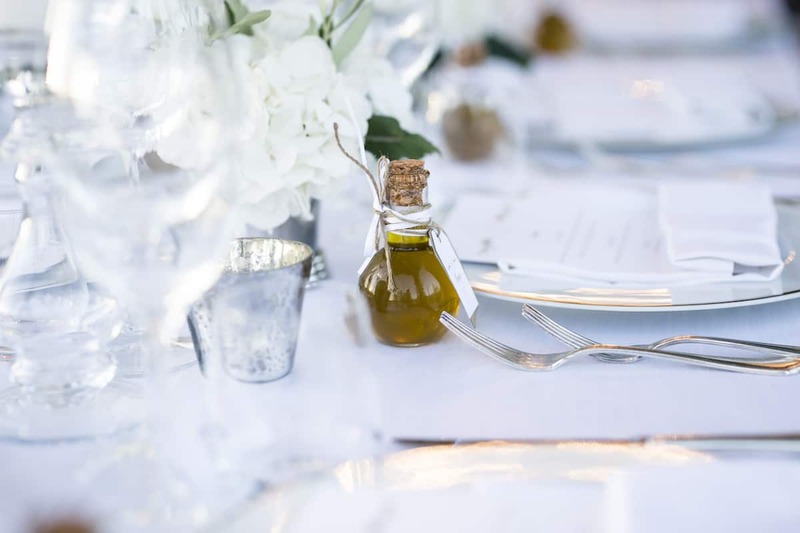 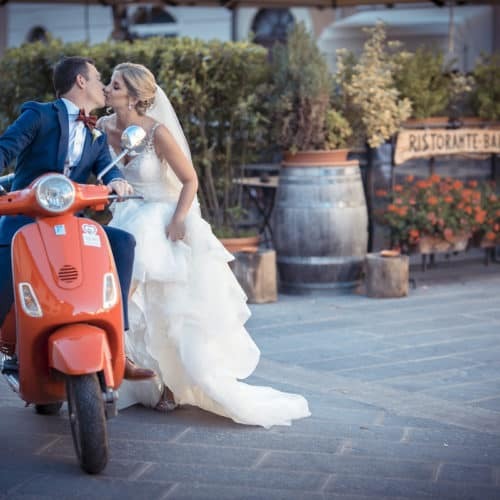 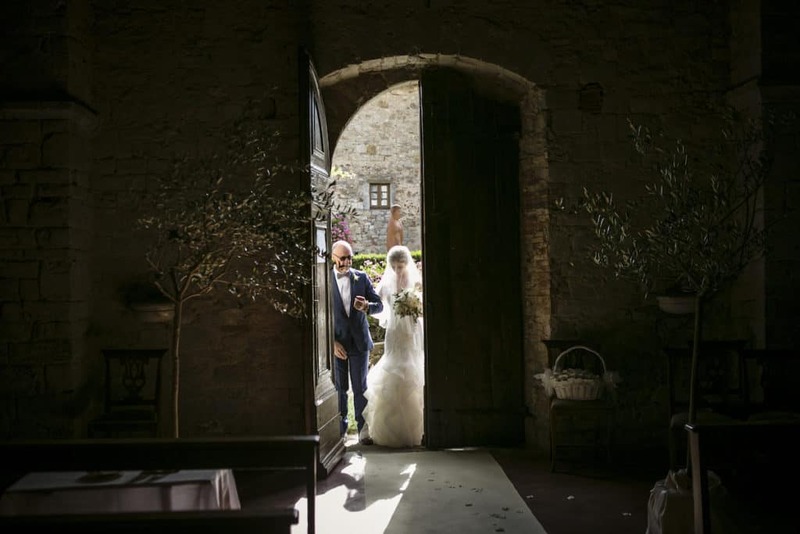 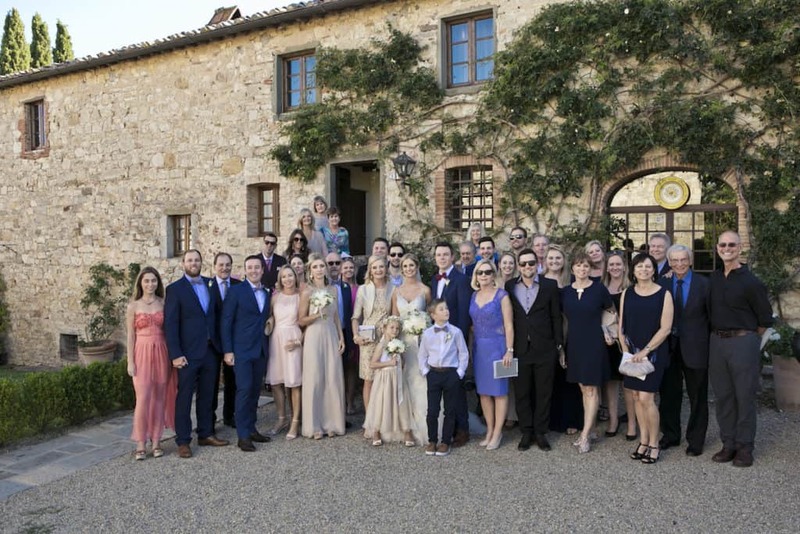 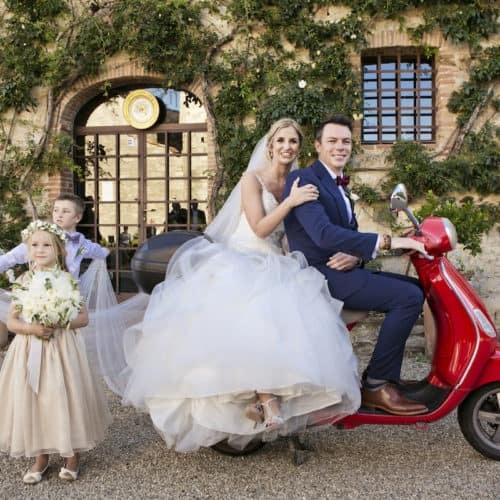 This wonderful South African couple wanted to get married in Tuscany in the very heart of Chianti Classico as they are wine lovers, and wanted to connect Sout Africasn wines and Tuscan wines. 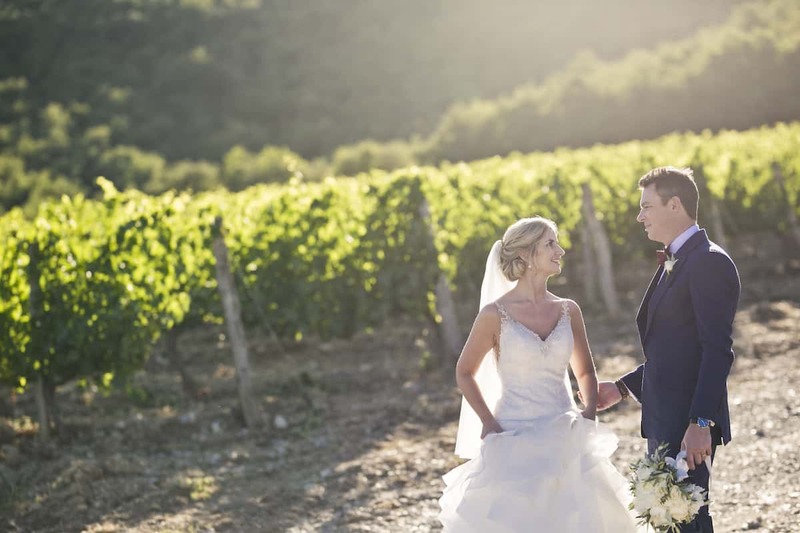 We never met, we never skyped before their arrival, they ‘ve never seen the wine resort I suggested when they arrived they were worried about everything, but at the same time so surprised that everything was better than expected. 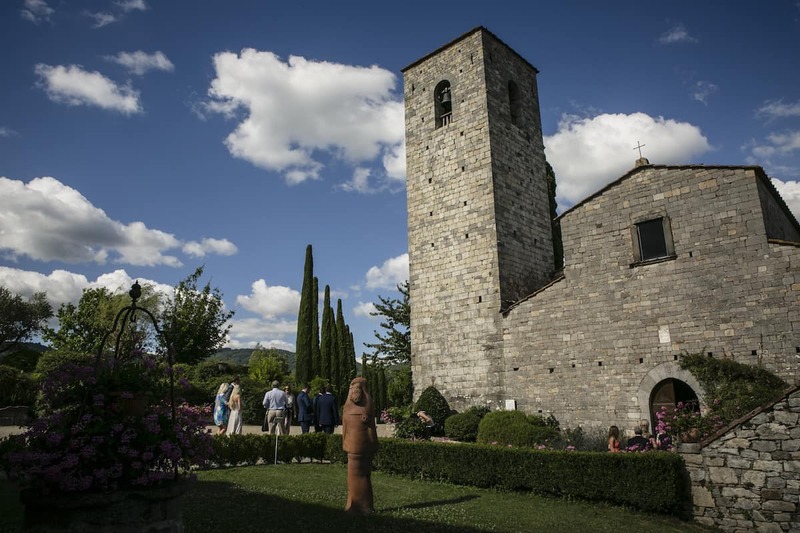 They wanted a catholic wedding in the fantastic medieval near Church, celebrated by the bride’s ancle a wonderful priest living in US. 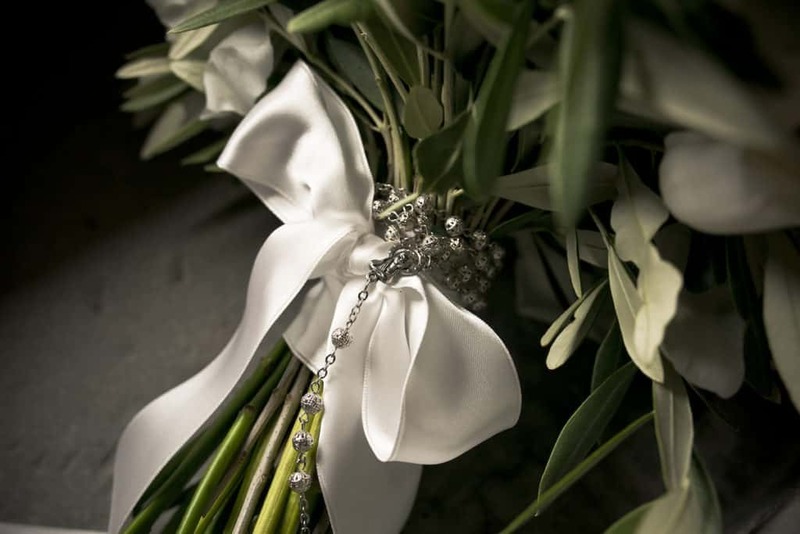 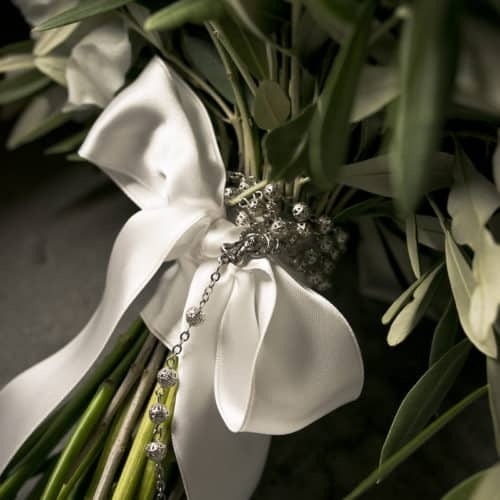 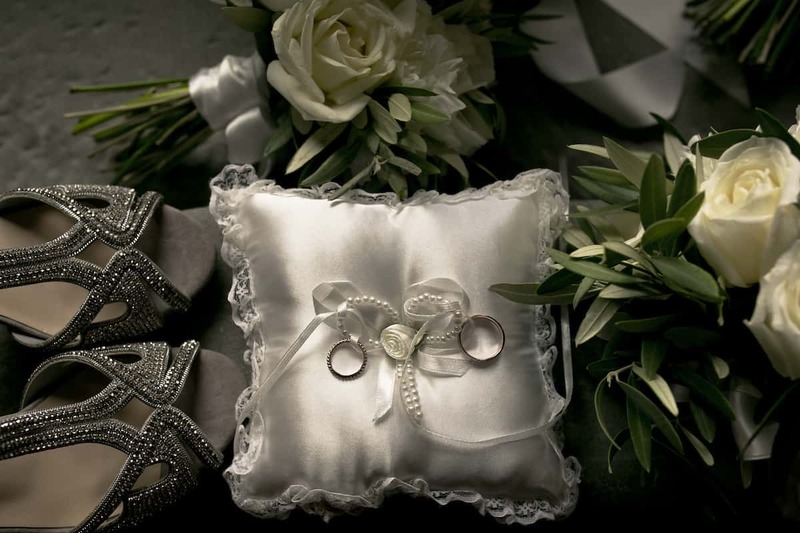 The ceremony was so memorable for everyone that all the words the father pronounced remains still in our mind. 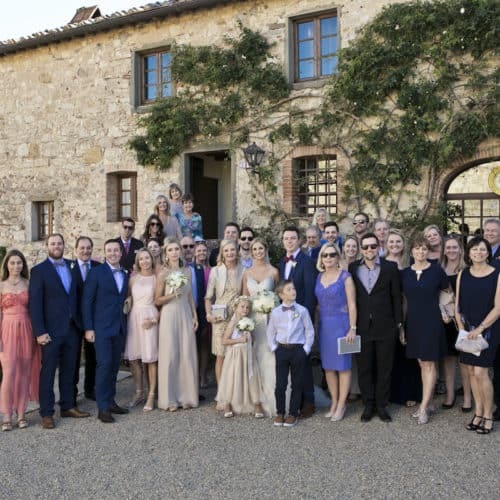 The entire family was so happy and excited that we felt ourselves part of the family and the wedding. 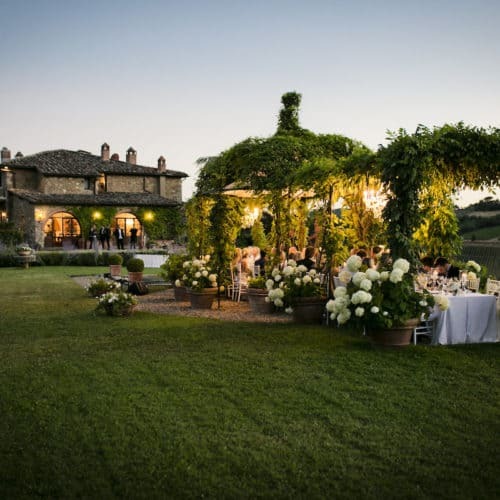 The band was incredible and the place with the decorations choosen was incredibly romantic expecially the dinner under the green veranda in the panoramic garden, full of green and white flowers with those romantic white chandeliers. 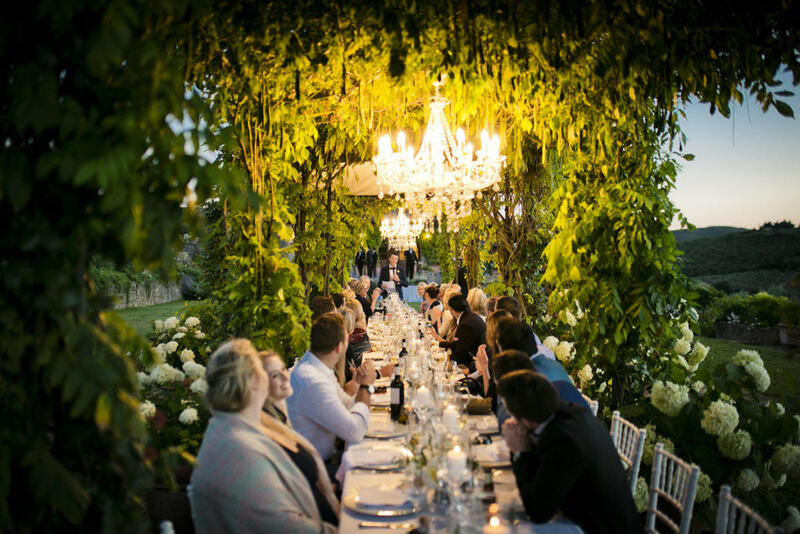 The food was Amazing thank to the catering choosen and never tasted before by the couple but we knew that they were a fantastic solution. 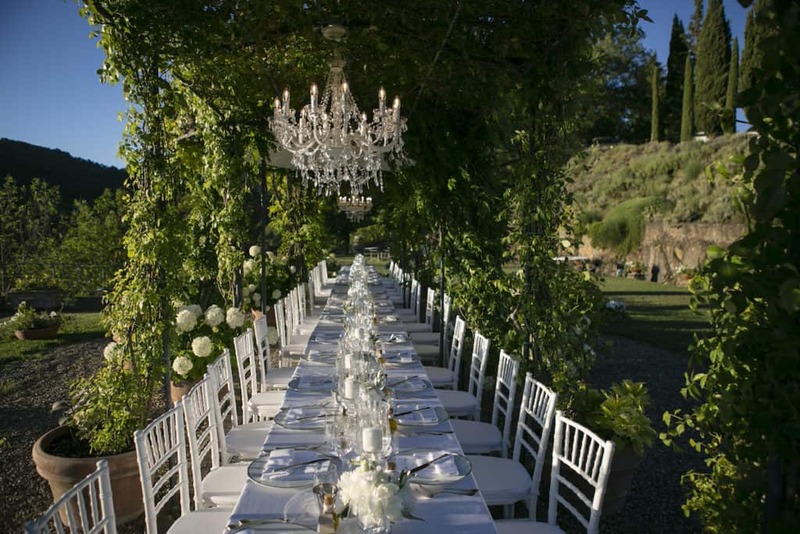 The food was fresh and well cooked, and the wine from the venues was wonderful. 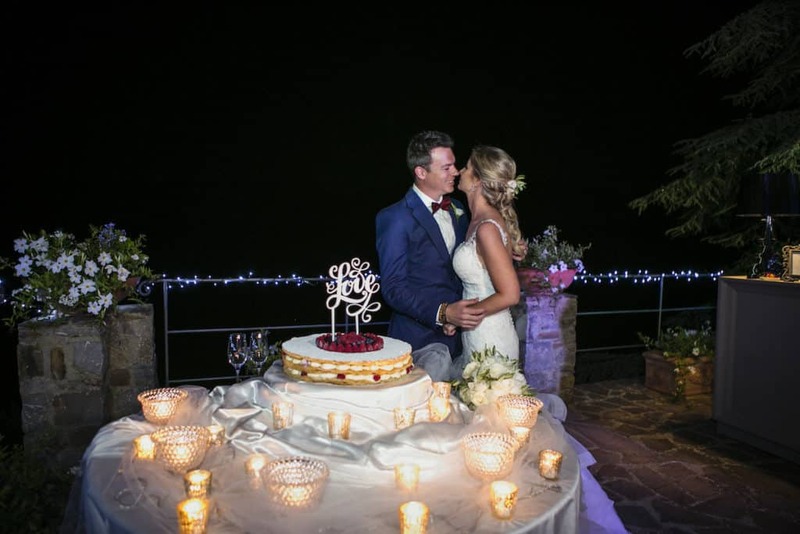 We still remain in contact with the couple and I look forward to do a special trip to South Africa to meet again Clayton & Juliette. 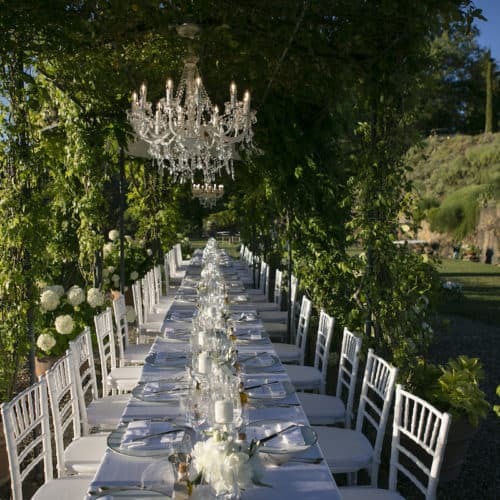 The food was fresh and well cooked, and the wine from the venues was wonderful. 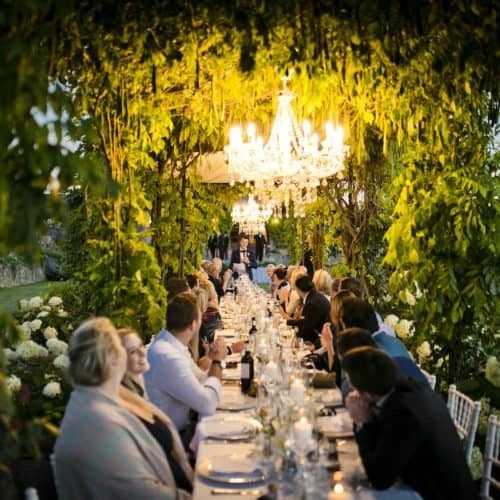 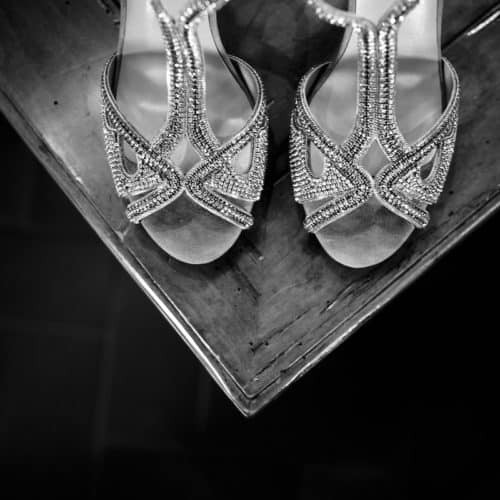 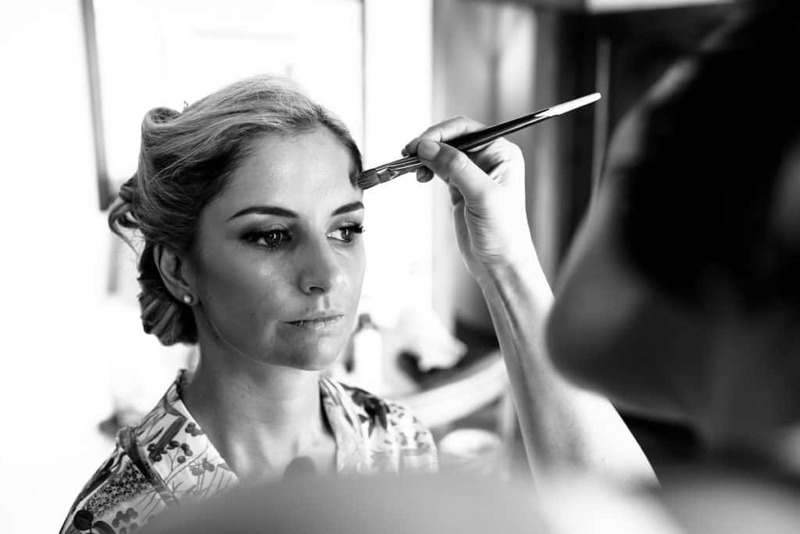 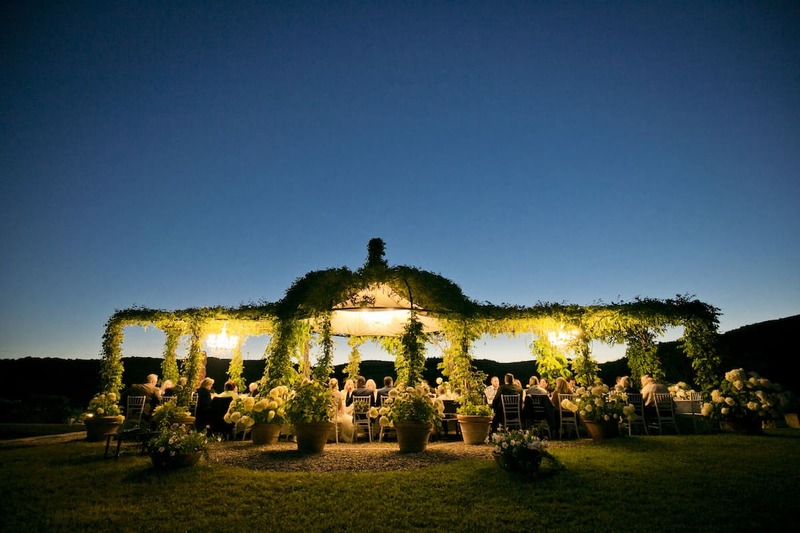 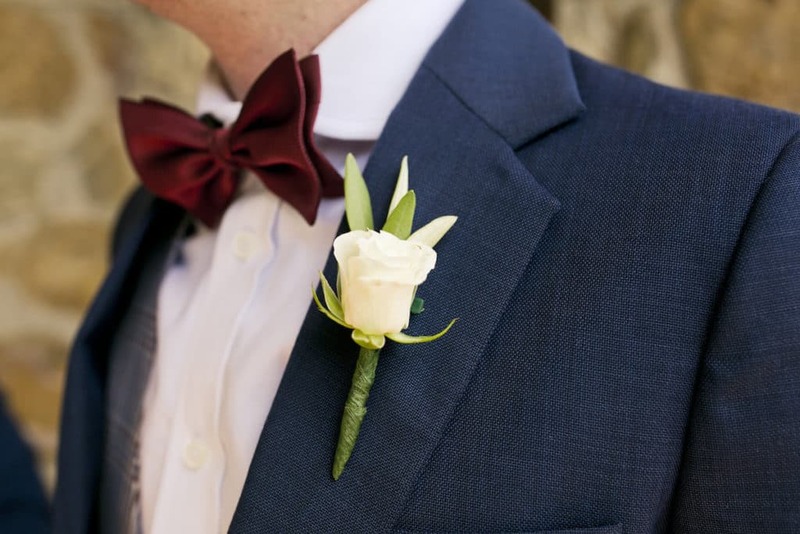 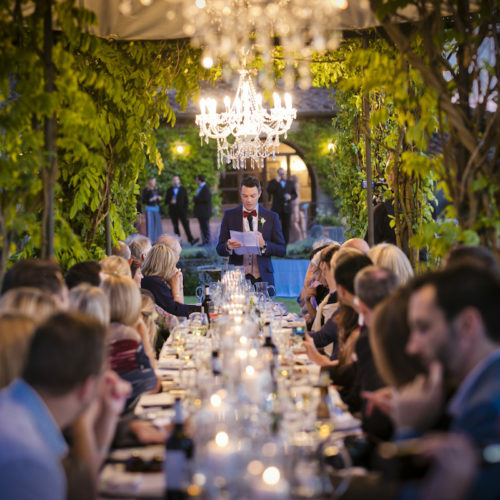 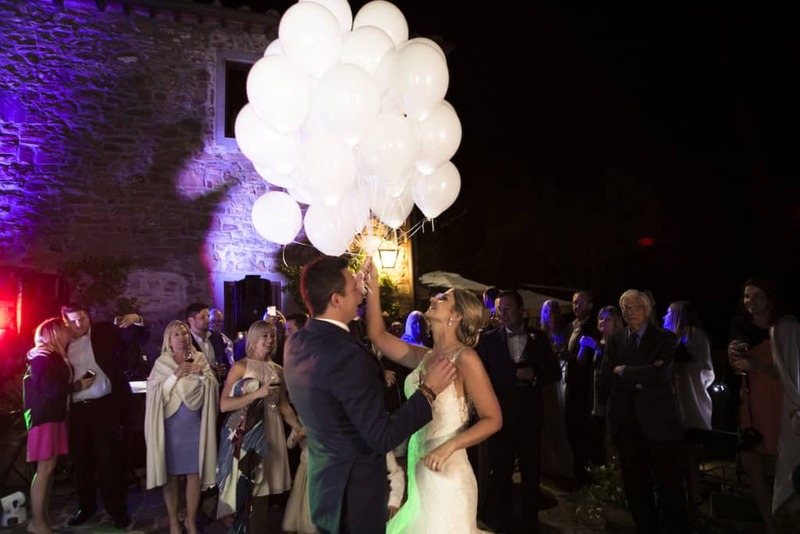 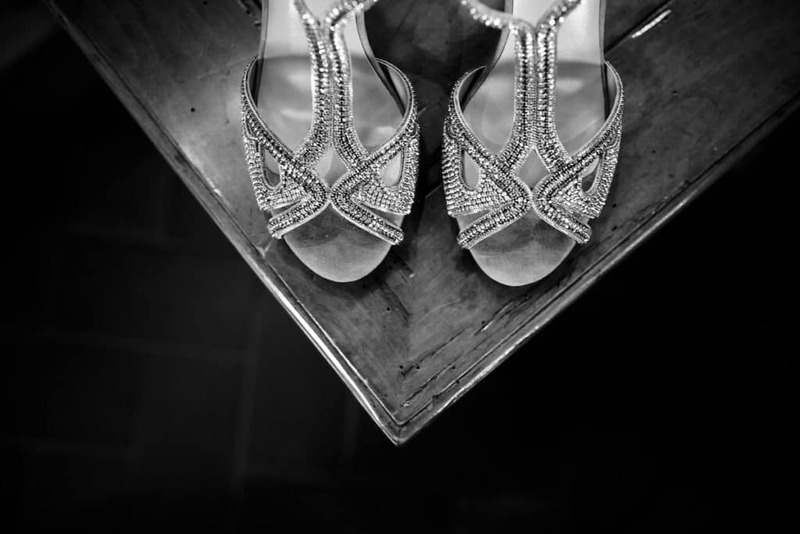 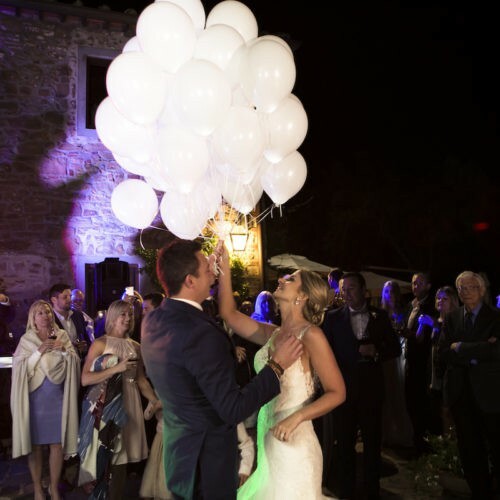 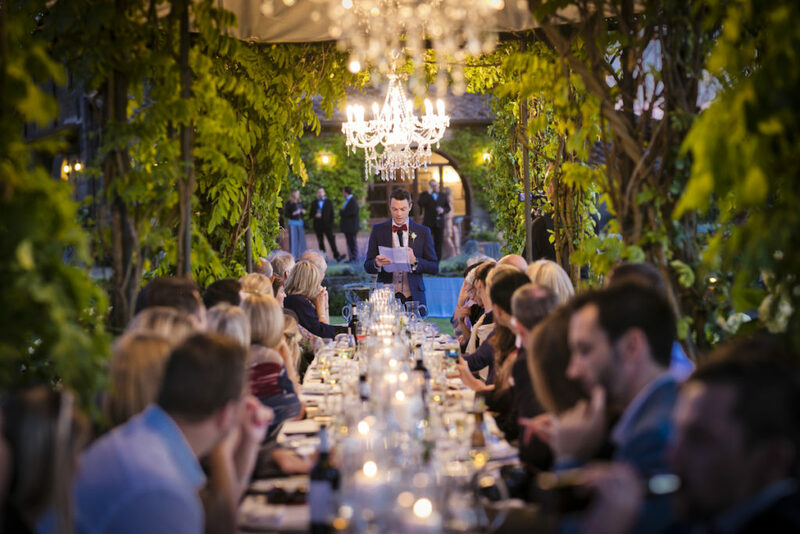 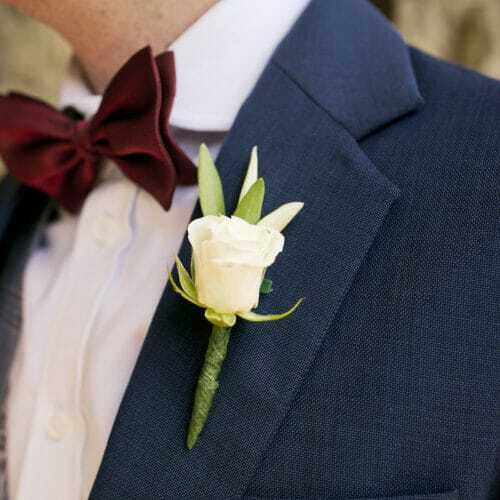 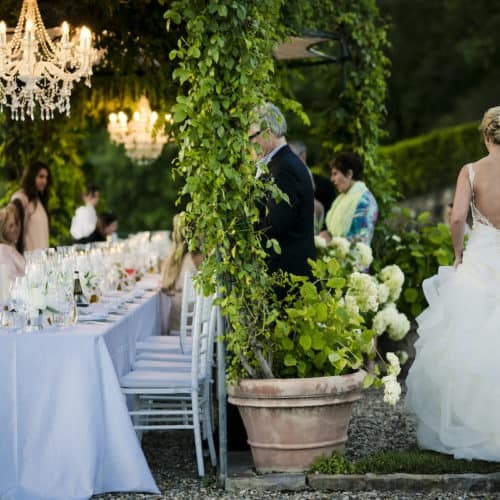 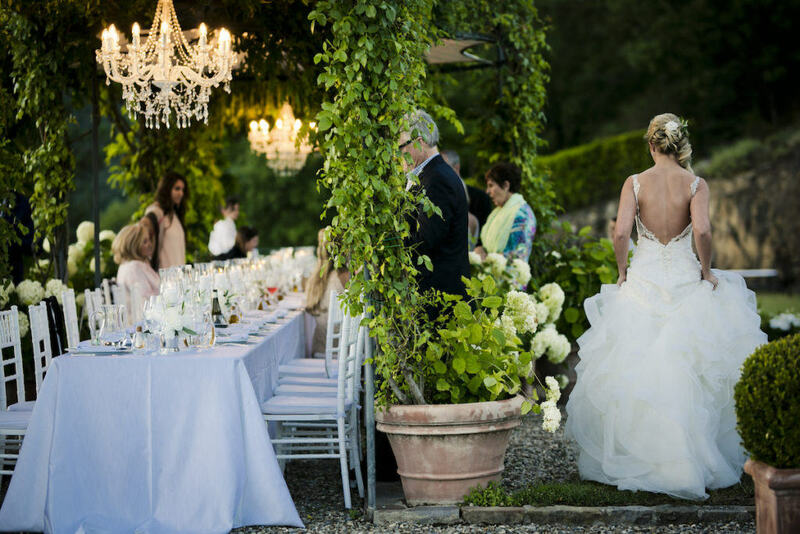 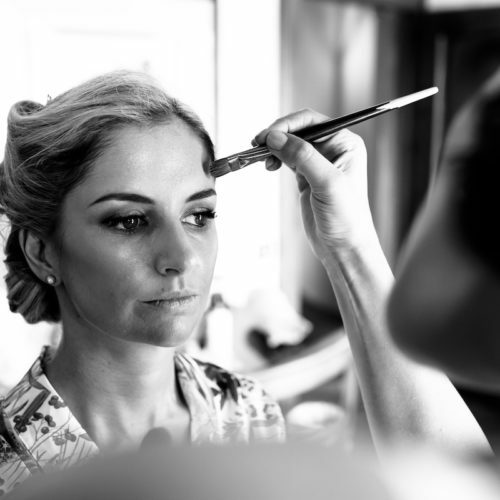 Make your fairytale Luxury wedding among the wineries!